As a result of the stigma around HIV, many folks feel shame and judgment about how they got HIV and don't want others finding out. We believe that isolation is alleviated by networks of support, by the opportunity to create shared experiences with other people, by the opportunity to be true to who you are without fear. A new national HIV awareness campaign begins with an assumption: it is common for a person living with HIV to feel isolated. It ends with a bold assertion: this does not have to be the case. HIVAnonymous collects stories from across Canada from people living with HIV, as well as their family, friends, and allies. It gives members of our community a platform to share experiences they've had, while preserving their right to decide how much of their identity is revealed. Through our work at ACT, we can see that there are a number of reasons why isolation is such a common experience. As a result of the stigma around HIV, many folks feel shame and judgment about how they got HIV and don't want others finding out. As a colleague of mine pointed out, a lot of young people do not want to feel limited to their HIV status. Some HIV-positive folks live in an area without strong health services that support them. Most women who are HIV-positive are heterosexual and don't have the same access to supports and community that gay men have created over the years. Sometimes, even our doctors or healthcare workers can make us feel stigmatized. Granted, some HIV-positive folks are open about their status and cultivate an identity around it, one that plugs them into a thriving network of people who share experiences, routines, and challenges. Some HIV-negative allies have recently done something similar online. Both of these communities embody the spirit of AIDS activism. I could not be happier about the advancements in treatment and prevention that now allow for such groups to exist. Nevertheless, many people living with HIV don't want their HIV status to be a central part of their identity. Nor should they have to. It is our job, as service providers and the broader public, to reduce the feeling of isolation. Over the past week I have been keenly observing the coverage from the International AIDS Society conference, which was held in Vancouver. The promise of a new global strategy (deemed 90-90-90) and the commitment to PrEP (Pre-Exposure Prophylaxis) are exciting new developments. I hope we also take seriously the following, taken from a statement meant to embody the Conference's ethos: "We must ensure that the decision to use ARVs [antiretrovirals] is an individual choice and that all people, regardless of social or legal status, race, gender or geography must have access to effective treatment and prevention. 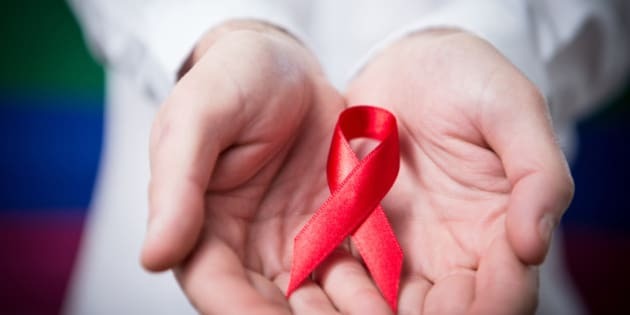 Knowing medicine cannot work in isolation and ARVs alone cannot end AIDS, a comprehensive, community-driven response attentive to underserved groups is urgent." It's about political will and improved access. And it is about support. I have been to over twenty AIDS Walks here in Toronto, and the feeling of being an HIV-positive person and showing up to the Walk to see thousands of people out to support you is an incredible feeling, and one that doesn't get old. The Walk is ACT's most grassroots event -- organized, run by and serving the HIV community. HIVanonymous unites the more than 35 sites across Canada that will be hosting the upcoming Scotiabank AIDS Walk for Life. As a national campaign, it is a unique opportunity to highlight the interplay between local and national trends in HIV. A queer white man living with HIV in Toronto could have a radically different experience with the virus than a person who uses drugs in Truro, which in turn may be different than they experiences of an Indigenous woman living in Saskatchewan. This campaign gives our community a platform to say what we might not be comfortable to say in our day-to-day lives. With government funding flat-lined, it's also a chance to galvanize public supporters to afford us, the service providers, an opportunity to do the necessary work to address the common feeling of isolation in the lives of HIV-positive people by raising vital funds that directly support programs and services. We believe that isolation is alleviated by networks of support, by the opportunity to create shared experiences with other people, by the opportunity to be true to who you are without fear. At a high level, we know this can come about through campaigns that reduce stigma and boost awareness (like this one, and that one), through support services (including strong, accessible social groups), as well as through supportive governments and funders. At a personal level, we can all work to fight isolation through kindness, by building stronger connections with each other, by speaking out when we can, and by showing up at the Walk.